In collaboration with Apple, Edenred Taiwan officially launched Apple Reward Ticket Xpress digital voucher to disrupt corporate gifting market. The solution enables corporates marketers to easily reward various Apple products including the latest iPhone XS, iPhone XS Max, iPhone XR, and Apple Watch Series 4 to their customers by sending them a special Ticket Xpress e-voucher via email, SMS or messengers; the recipients can redeem the Apple products simply through the e-voucher’s user interface and enjoy free shipping directly from Apple. With its unique features such as “personal data protection”, “color preference”, and “Apple direct shipping”, Edenred expects the innovative Apple Reward Ticket Xpress digital voucher will replace the old-fashioned physical gifts for promotion rewards, sweepstakes, or lucky draws on the market. Apple products have always been the consumers’ most desired reward for marketing promotions and campaigns, however, under the regulation of GDPR and domestic Personal Data Protection Act, sending Apple products or any physical reward to consumers has become a risky task for corporate marketers due to they have to collect the consumer’s sensitive personal information (e.g. name, address, phone number,…etc. ), and pass to suppliers for fulfillment purpose. To address this issue, Edenred’s Apple Reward Ticket Xpress digital voucher has unique "In-Voucher Delivery" feature, which enabling the recipients to provide their shipping information directly inside the secured digital voucher, thus effectively eliminate the risk for corporate marketers in passing customers personal information to third parties. The BS10012 personal data protection certification Edenred Taiwan also add another layer of security assurance for corporate customers. For Apple products with multiple colors, such as iPhones, iPads and Apple Watches, the Apple Reward Ticket Xpress digital voucher also provides an option for recipients to choose their favorite color. It will not only help the corporate marketer to increase customer satisfaction, but also relive them from the burden to make the choice of color as well as the hassle of exchange after delivery if their customers doesn’t like the color. 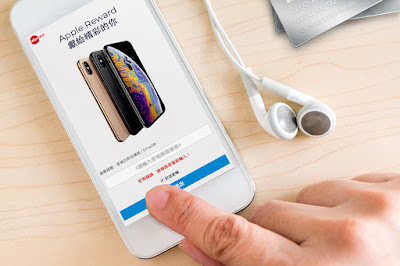 The Apple products redeemed with the Apple Reward Ticket Xpress digital voucher will receive the same treatment as if it were purchased from online Apple Store. The products will be delivered to recipient's door step directly from Apple and come with Apple original warranty and free replacement service within 7 days. An order-tracking feature is also available inside the Apple Reward Ticket Xpress digital voucher offering the best-in-class reward experience for the corporates and theirs customers. 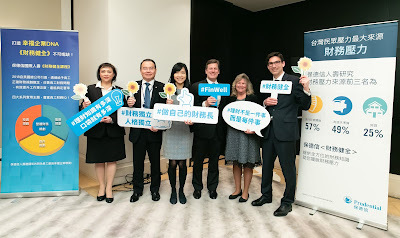 Since 2010, Edenred Taiwan has been pioneered the e-voucher gifting market and is committed to providing innovative digital voucher solutions for its customers in financial and telecommunications sectors, government agencies, points programs, as well as employee benefits platforms. By combining Edenred’s digital voucher solution with Apple’s extensive products and logistic service, the Apple Reward Ticket Xpress digital voucher is expected reshape the corporate reward/gifting market.